Goa has a long coastline with almost five months of wet and mostly the entire year a humid sunny climate. 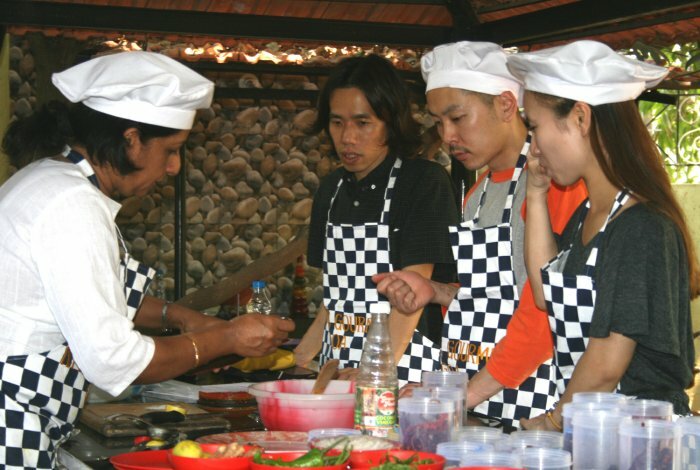 It has abundance of seafood, coconut and spices apart from vegetables, meat and poultry. 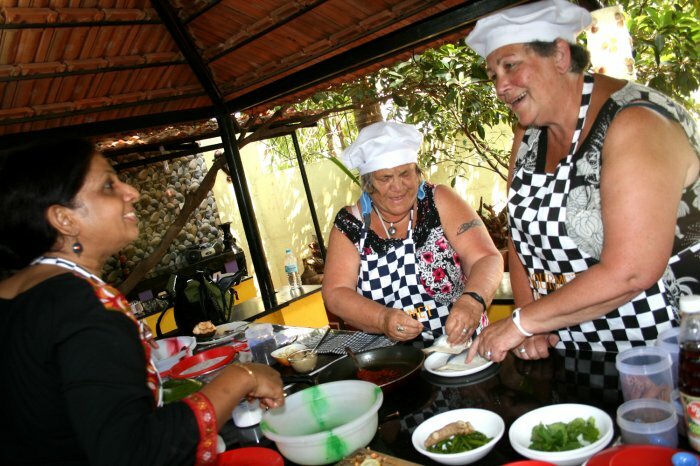 Portuguese were in Goa for almost four hundred years and no wonder have left their mark on Goan cuisine as well which includes an array of ethnic delicacies. 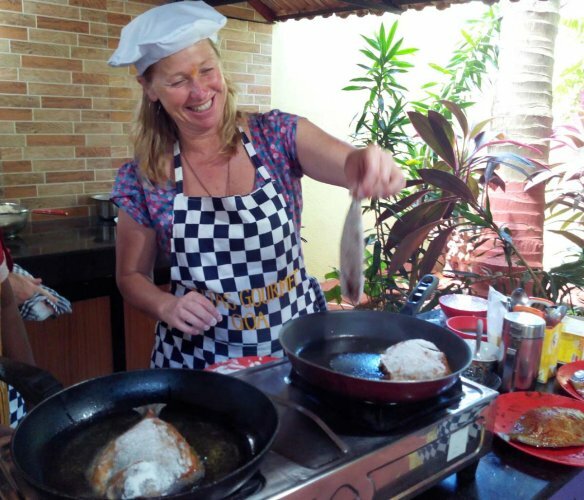 Many of these delicacies such as the Cafreal, Xacuti, Assado de Carne, Rissois de Camarao, Serradura, Alle Belle, Goan Prawn Curry, Xec Xec, Recheado, Caldin are very popular with the locals in the day to day Goan meals. 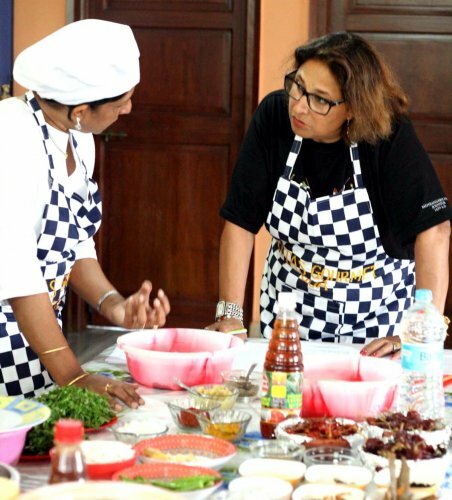 Goan cuisine is relished not only in India but also commands great respect in many parts of the world, thanks to its popularity. 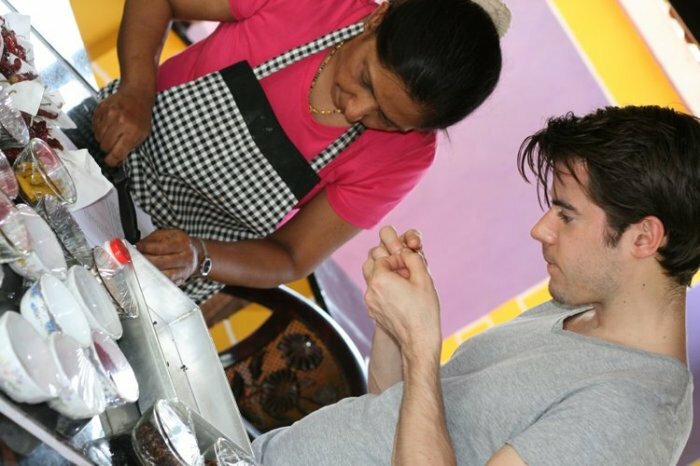 Rita’s Gourmet makes an all out effort to impart culinary knowledge in more than forty dishes. 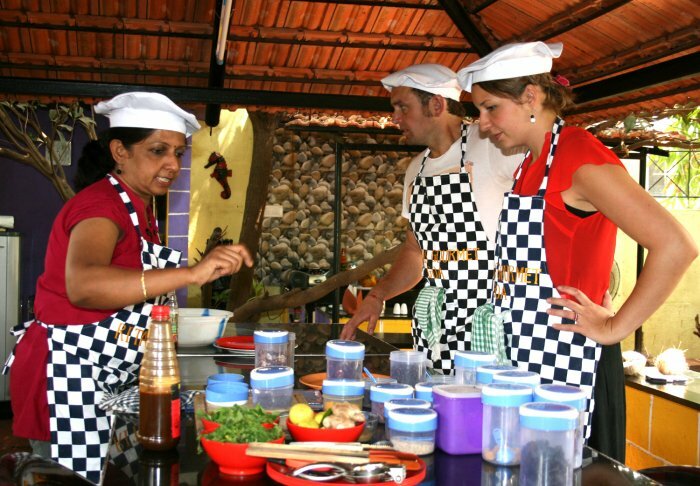 In today’s hotel industry there is a huge shortage of chefs with the knowledge of Goan Cuisine. 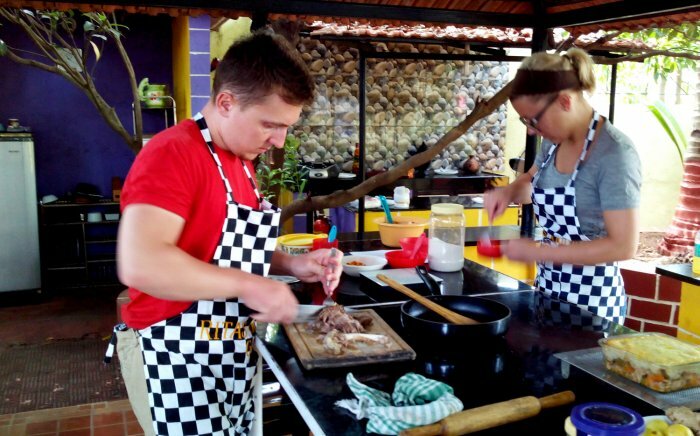 In order to fulfill this vaccum, Rita’s Gourmet has crafted out a comprehensive course in exclusive Goan Cuisine which is of immense benefit to the individuals joining hotel/cruise line and so also for the food lovers who wish to organise Goan Cuisine theme parties for their friends and family. 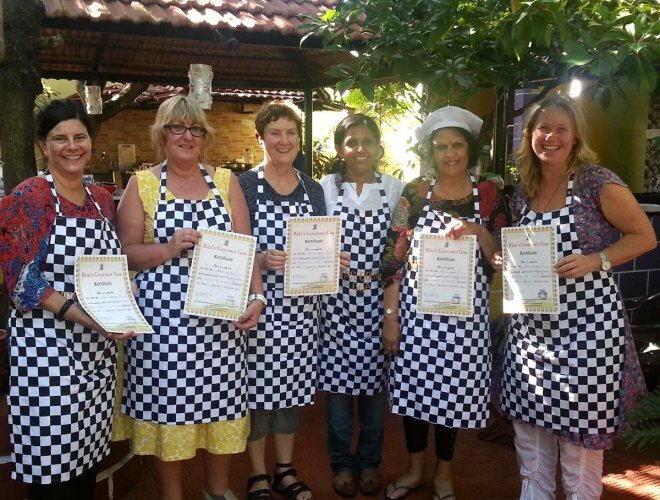 So join us in a wonderful hands on 8 days comprehensive training in our Goan Cuisine Cookery session as we teach you Soups, Starters, Main Course and Desserts. Few of the dishes are listed herein-below. This course is held if we have a minimum of two bookings. If it is a single booking then the same will be conducted at an extra 30%. 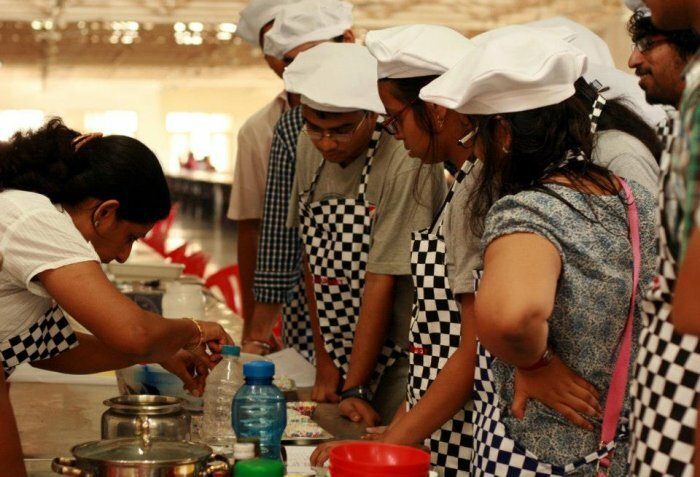 Rates: Rs 24000/- per person for eight days course. Group bookings of 4 persons and above will be extended a 10% discount.